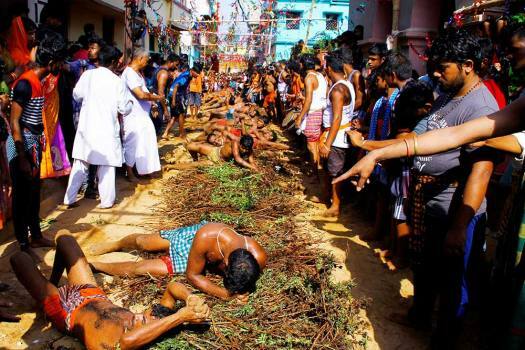 Devotees roll on a wild thorn as they perform Danda (self-punishment) during the annual “Danda” festival in Khordha, Odisha. 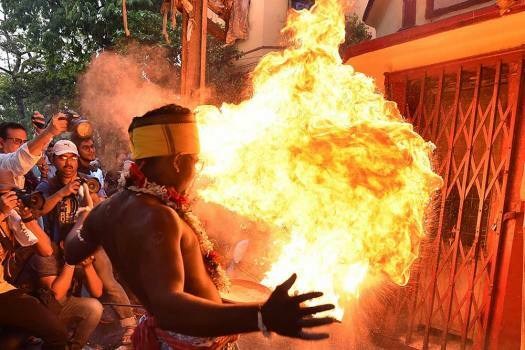 A devotee performs with fire during a Shiva Gajan festival procession in Kolkata. 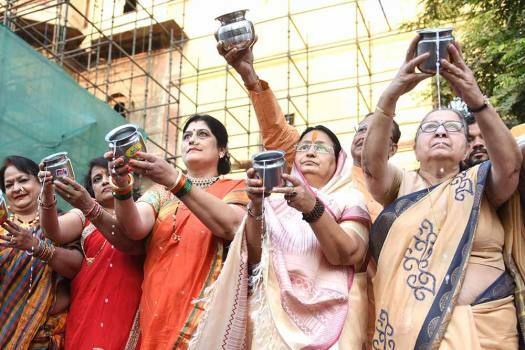 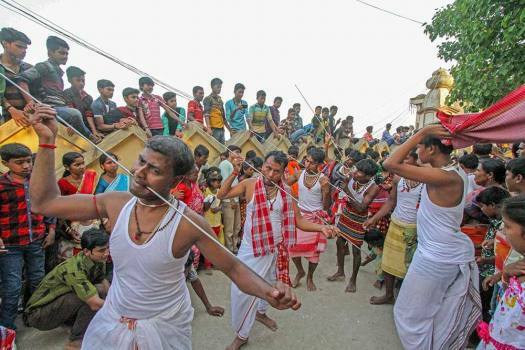 Devotees, with iron rods pierced through their tongues, participate in Shiva Gajan festival ahead of the Bengali New Year at Dwarka in Birbhum district of West Bengal. 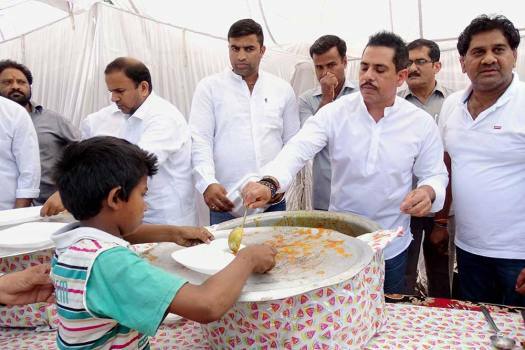 Businessmen Robert Vadra serves food to people on the occasion of Navratri in south Delhi. 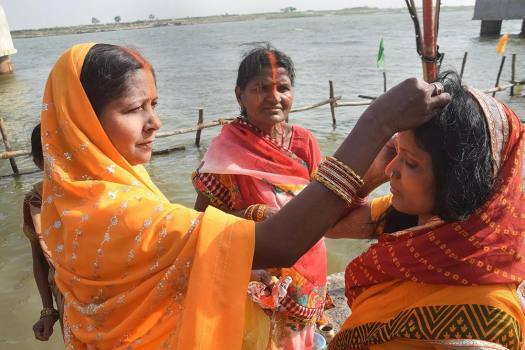 Devotees perform morning rituals along the banks of the Ganges River on the first day of the nine-day Hindu festival of Navratri on the outskirts of Prayagraj. 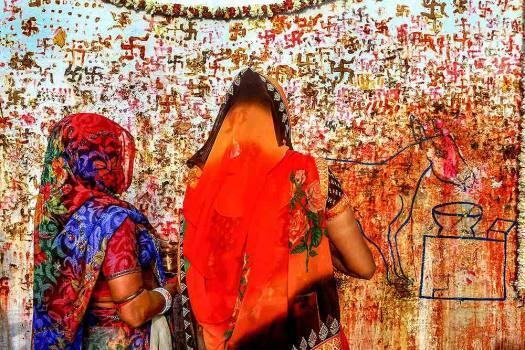 Devotees perform rituals on the occasion of 'Sheetala Ashtami' at Goddess Sheetla Mata Temple, in Bikaner. 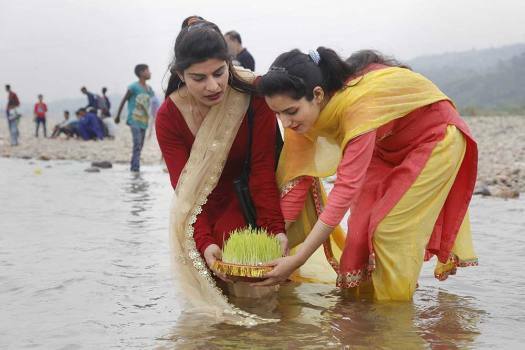 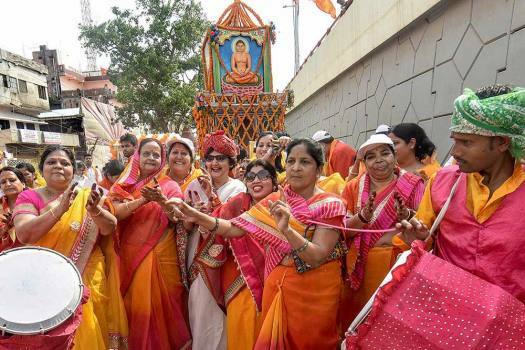 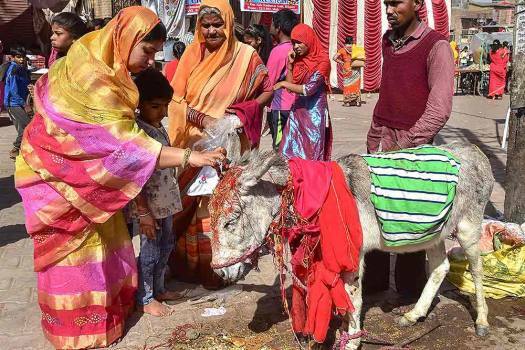 Devotees perform rituals on the occasion of 'Sheetala Saptami' festival, in Ajmer. 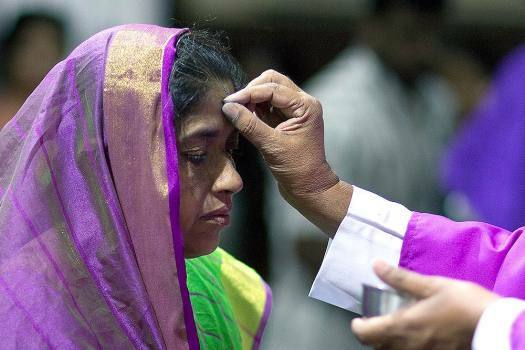 A Catholic priest marks cross symbol on the forehead of devotees during an Ash Wednesday service at the St. Joseph Cathedral in Hyderabad. 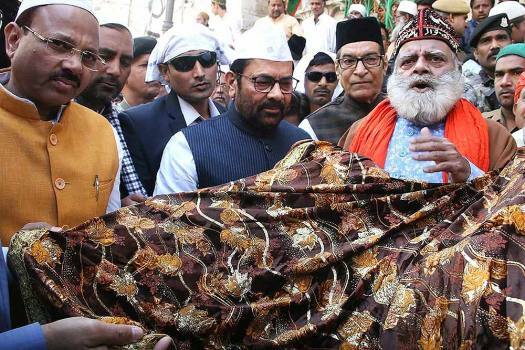 Union Minister for Minority Affairs Mukhtar Abbas Naqvi offers a 'chadar' at Dargah Ajmer Sharif on behalf of the prime minister, in Ajmer. 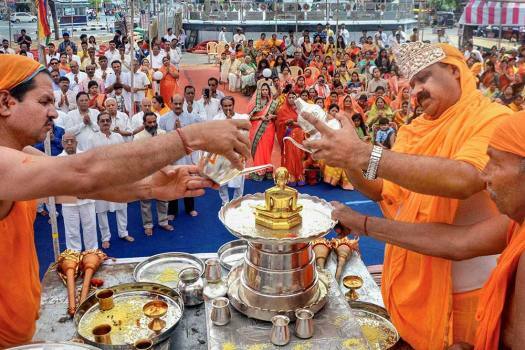 Congress president Rahul Gandhi on Saturday accused Prime Minister Narendra Modi of lying all day and said he is the 'chowkidar' of the corrupt and fugitives like Nirav Modi, Mehul Choksi and Vijay Mallya. 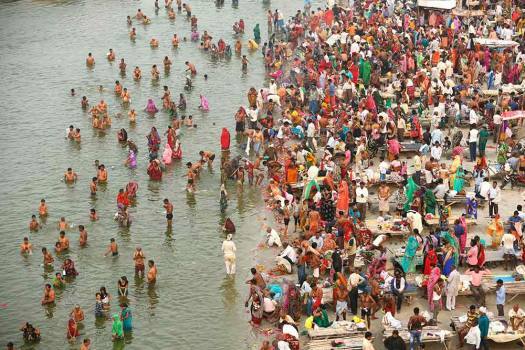 A case under relevant Sections has been registered against all the accused. 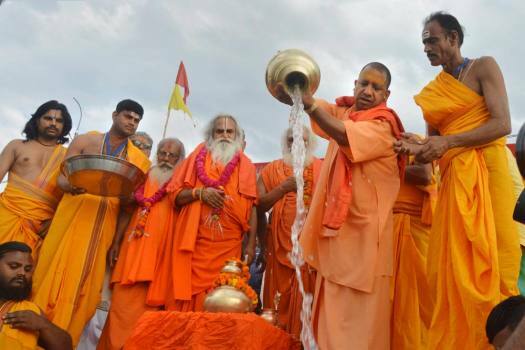 Naseeruddin Shah said that "poison" has spread in the Indian society and it will be very difficult to capture this djinn back into the bottle. 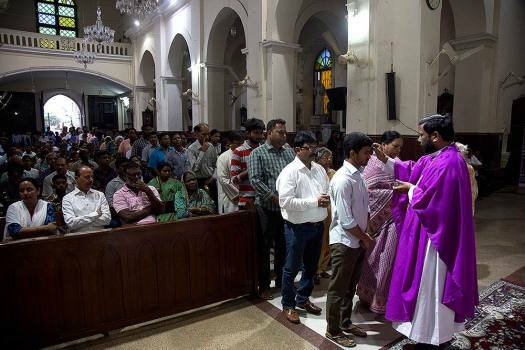 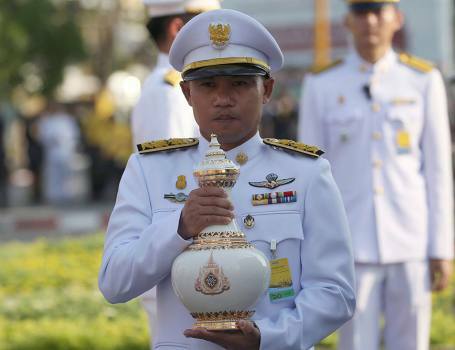 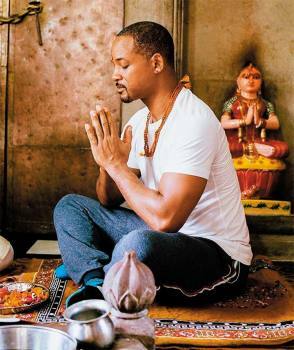 Why do people want the static, frozen ‘dharma’ of colonial-era reactionaries?